Well I did it. I tried glass etching for the first time on the mirror of an old medicine cabinet. Wow was it easy. The hardest part was lining up the vinyl stencil, it took me numerous tries to get it centered. This is what the cabinet looked like when I brought it home from the flea market. so I'm guessing the cabinet is from that same time period. My initial vision for this cabinet was just to clean it up and paint it. I took it apart, cleaned and sanded it, then painted it black. It definitely looked better, but it was boring. I'm not sure where the idea came from, but it came. 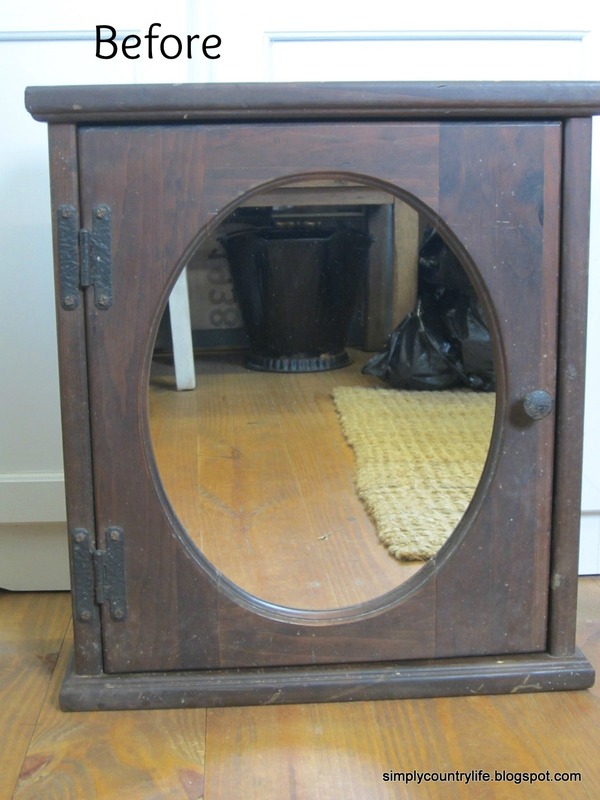 I could dress this cabinet up a little by etching the mirror with a first aid cross. and finally decided on the word REMEDIES. I created a stencil with my Silhouette Cameo using vinyl. get them centered on the mirror. I used Armour Etch glass etching cream to create the design. and let it sit for 60 seconds before rinsing it with luke warm water. Then I peeled off the stencils and wiped the mirror off. I put the cabinet back together using the original hinges and hardware. 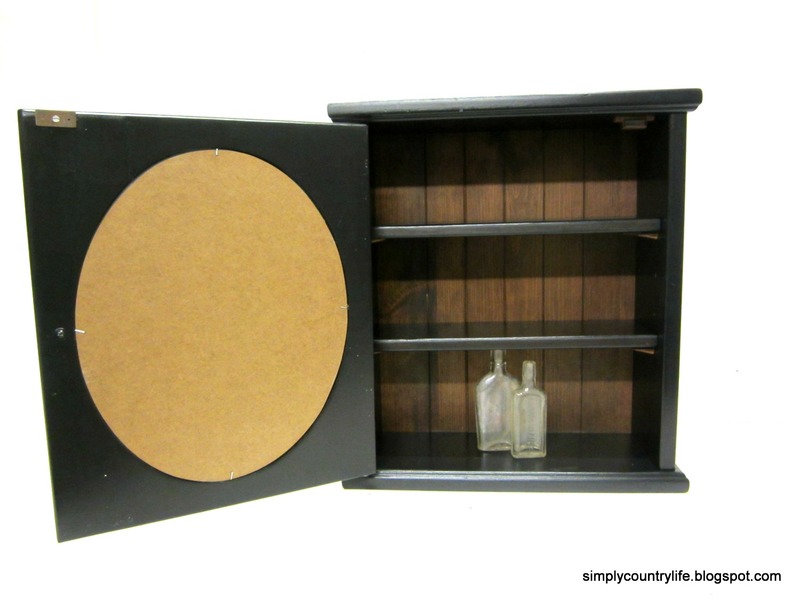 It has two adjustable shelves and a beadboard back. 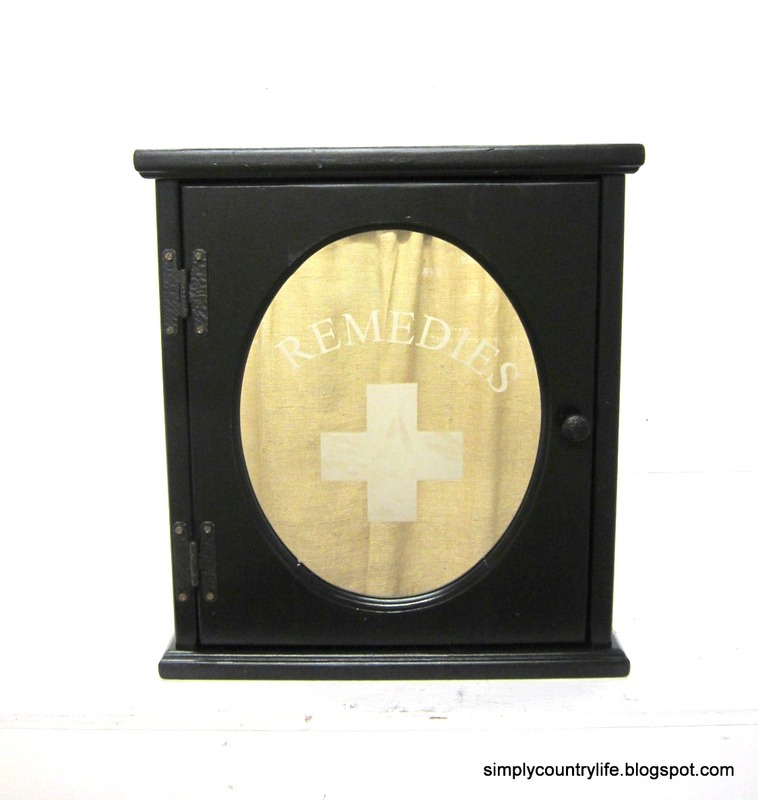 and the etching definitely gives this old medicine cabinet some character. Oh the glass etching ideas that are running through my mind now. Have you ever done a glass etching project? If so, what did you make? Great job ,- looks great!! Hope your weekend was happy :-). I'm visiting from My Salvaged Treasures. 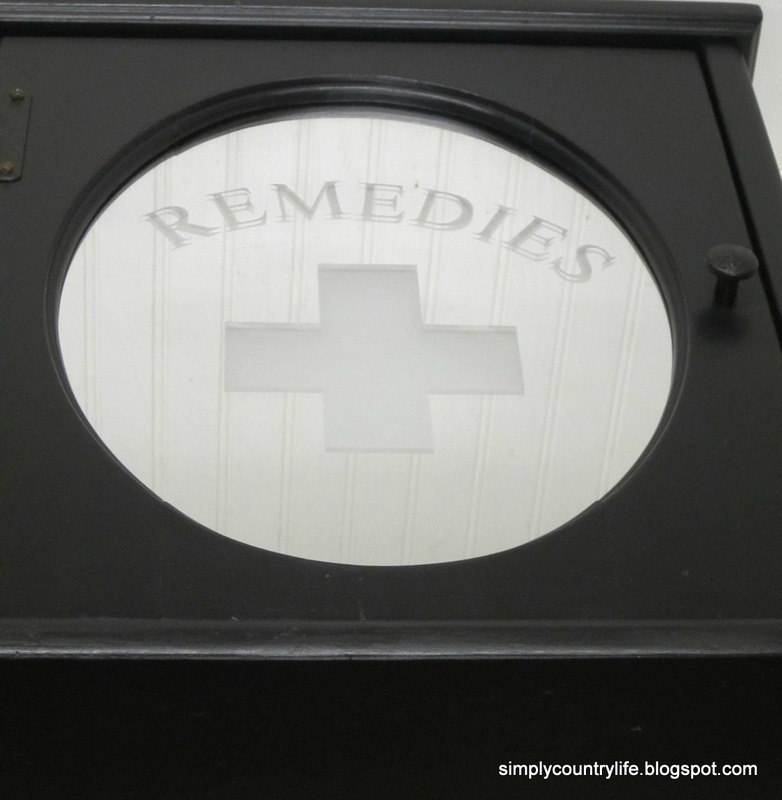 Remedies is the perfect word. Great re-do! Thank you so much for stopping by Kathy and thanks for the compliment!